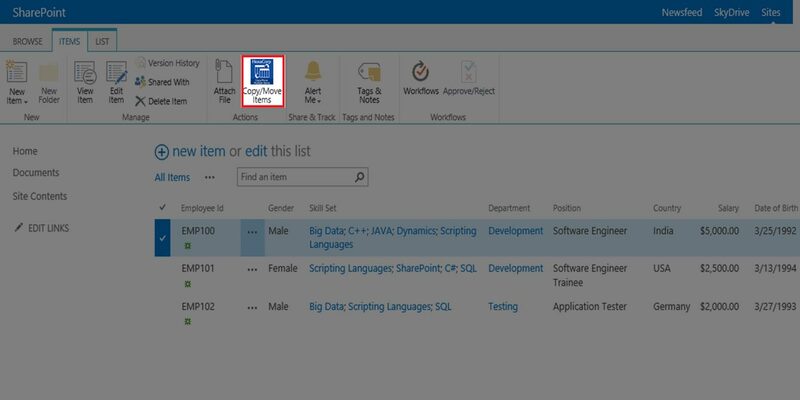 Has the ability to copy to the same list or to a different list within a SharePoint site. Easily accessible from the ribbon. 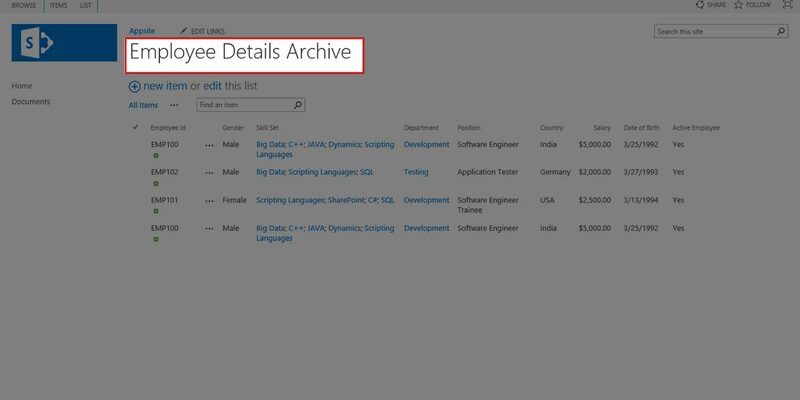 Move items from a main (Source) list to an archive (Destination) list. Support for special field types such as Lookup, Person/Group and Picture. Copy/Move items across sites and sub sites. Copy only fields from the current view. Support for managed metadata columns. Copy/Move documents in document libraries. 1. Go to a specific list in the site. And copy the item(s) to “Different List”. 5. Next, click on the “Ok” button to move the copied items to the selected destination list. 7. Click on the “OK” button to close the pop-up window. 12. Click on the “OK” button to close the pop-up window. Q:1. 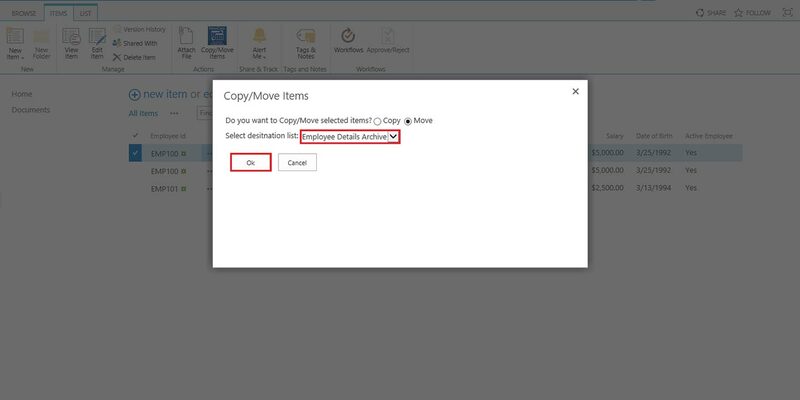 What is the Copy/Move App? 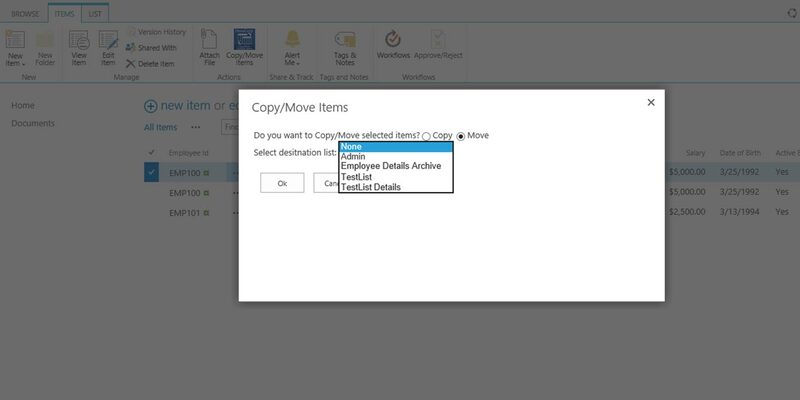 The Copy/Move App is a SharePoint App that works with SharePoint 2013 and SharePoint Online (Office 365). 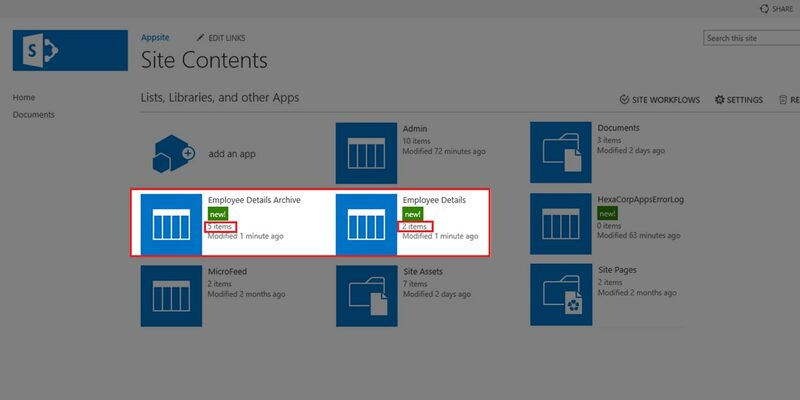 The app can be installed from the SharePoint App store. It allows users to copy list items from a source list and move them into a destination list, much like traditional copy and paste features in Windows and other operation systems. Q:2. 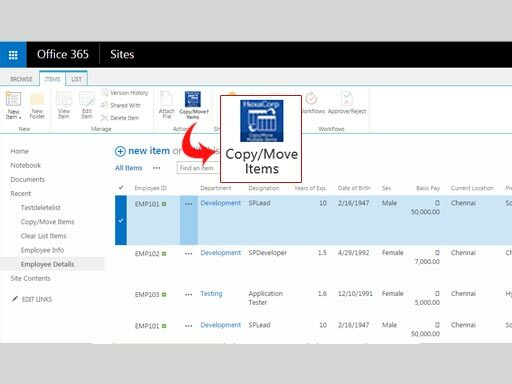 Does the Copy/Move app support moving items between different SharePoint sites? No. 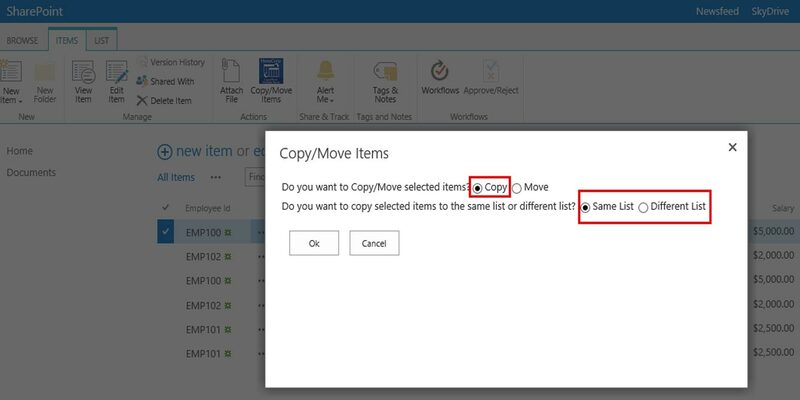 The current version of the Copy/Move App will only move items within a site. Q:3. 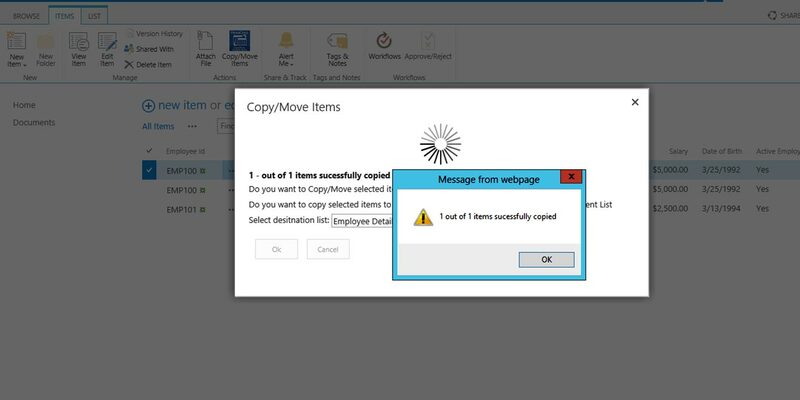 Does the “Copy/Move” app support Libraries? Only list items are supported. No library files are supported. Q:4. Does the Copy/Move app support all field types? No. 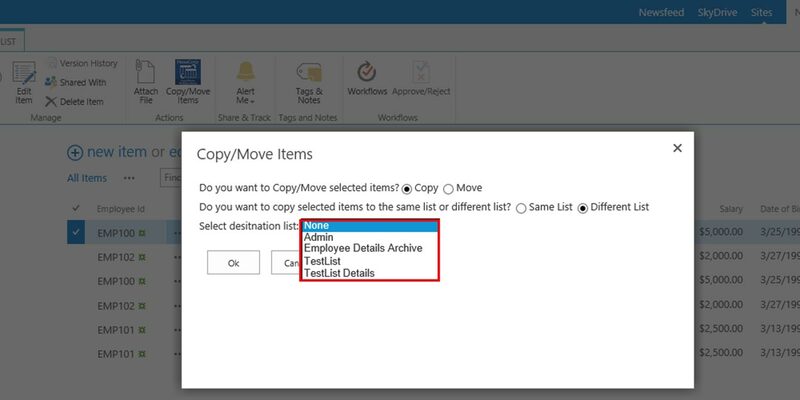 The Copy/Move app will copy data from all field types except Managed Metadata and External data field type. Contribute permission is required to use this app. If you have Contribute permission, you can proceed by clicking Copy/Move button on list ribbon. No. Only list items are supported. Q:7. How many items can be moved at one time? 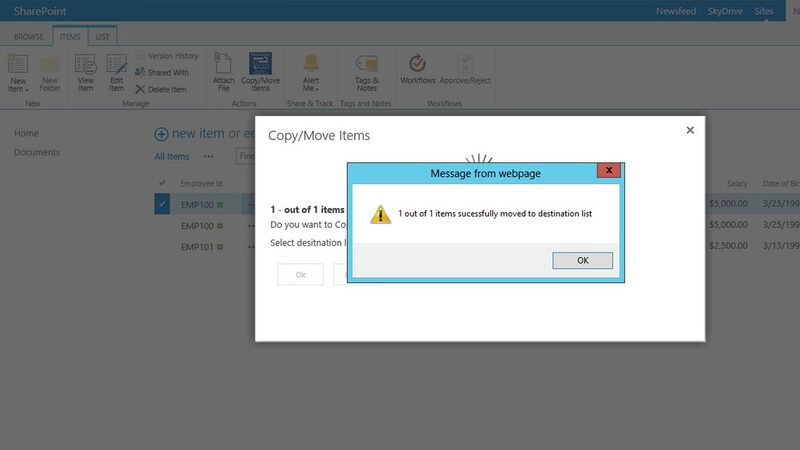 Maximum 100 items can be moved but advisable to move 30 items as per default SharePoint. Q:8. How to solve “This content cannot be displayed in a frame” issue? Step: 1. In your browser go to the “Internet options”. Step: 2. Click on “Security” option, which will appear in the header of the pop-up window. Step: 3. In this tab click on the “Trusted Sites” option. This will enable the “Sites” button. Step: 6. Click “Close” button to close the window and then the “OK” button to complete the process. Works only with lists of type custom list. 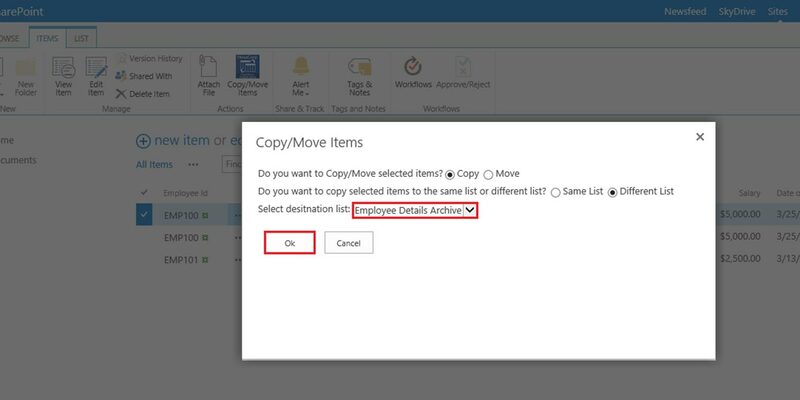 The “Copy/Move” app can only be used to move items having the same source and destination column name (only same schema). That is, having the same number of columns and data type(s). 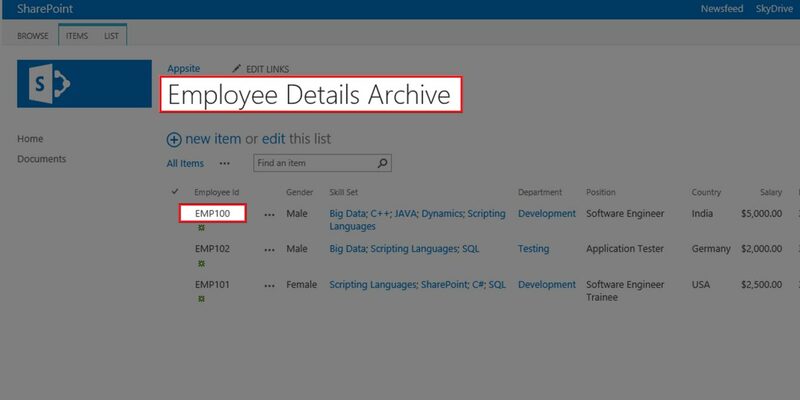 List attachments and managed metadata columns (Taxonomy) will not be copied or moved to destination list. Values from all columns of the list will be copied or moved irrespective of the view. Version history of the list items will not be copied or moved.